Product: Mashers Optipack 750ml Rectangular Disposable Plastic Food Containers with Lids, Pack of 5 was added to cart. If you are looking for a portable packaging solution for salads, desserts, dips, and cold pasta dishes, look no further than these Rectangular Disposable Plastic Food Containers with Lids by Mashers. Made from transparent food-grade plastics, these versatile take-away containers feature air-tight lids to seal in freshness, they have a generous capacity of 750ml, and they are supplied in packs of 5 and cases of 400. 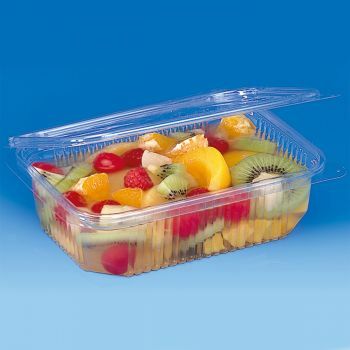 A great investment for deli counters, salad bars, buffets, and banquets, these multipurpose food containers are lightweight, stackable and fully disposable after use.